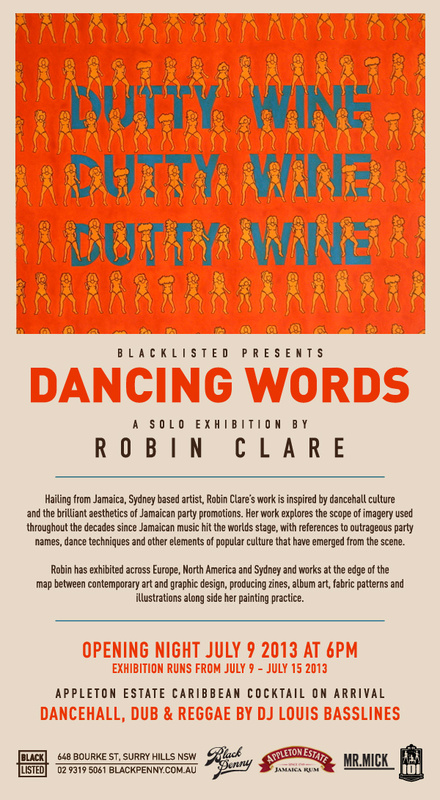 If you happen to be in Sydney, Australia, check out the opening night of a solo exhibition by Jamaican artist Robin Clare at the Black Penny on Tuesday July 9th, 2013 at 6pm. Dub, reggae and dancehall tunes will be supplied by Sydney based DJ Louis Basslines with a special performance by Sydney dancehall specialists the Doll Squadron. And if that’s not enough there’ll be an Appleton Estate Rum cocktail on arrival.